In Deep Body Massage, professional masseur Jo Lee gives Maruyama a massage while reading aloud the text she wrote about language and its movement through the body. 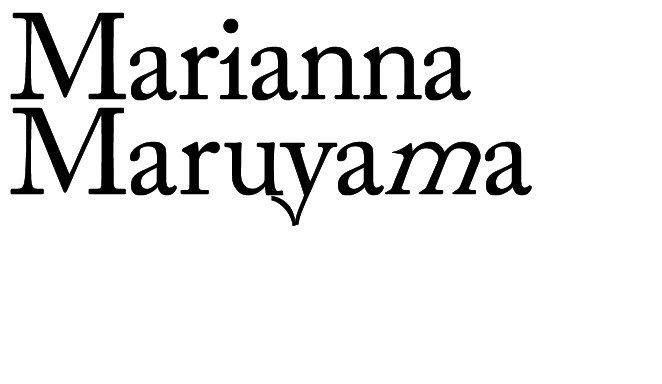 In this work Maruyama borrows the voice of a physical therapist to speak her words, while acknowledging her own body as a speaker in itself, communicating through pressure, resistance, and transformation. Rather than opening her mouth to speak, other parts of her body — the musculature and organs — respond in various ways to the pressure Lee gives. Because the success of the treatment depends on the physical reciprocity between the giver and the receiver, body workers are especially attuned to the sounds of the body and their meanings: the growl of the stomach, the wide yawn, and the deep exhalation or sharp intake of air. Performed with Jo Lee in Amsterdam at Goleb in 2015; in Zurich at Manifesta 11, 2016, and at The Gerrit Rietveld Academie Studium Generale in 2018. With support for the international presentation at Manifesta 11 from The Mondriaan Fund. Read more in the Pdf Booklet about this performance. How Language Moves, Performance, 2015, Amsterdam (Goleb). Photo by Mirko Lazovic. Deep Body Massage, Performance, Zurich (Manifesta11) 2016. Photo by Andrius Arutiunian.